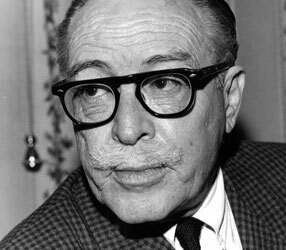 Dalton Trumbo was born in Montrose, Colorado in 1905. Shortly thereafter his parents moved to Grand Junction, the largest town on Colorado’s western slope. After graduating from high school, his mother and father completed the westward trek which the family had begun two hundred years before, and moved to Los Angeles. He attended the University of Colorado in the year of 1924-1925, joining them on the coast in the summer of 1925. His father died the following year. In order to support his mother and two younger sisters, Trumbo went to work as a night bread wrapper in the largest bakery in Los Angeles. He started in 1925 at a salary of $40.00 a week, and when he quit, 9 ½ years later, he was earning $18.00. During this time he wrote eighty-eight short stories and six novels, all of which were rejected. He attended the University of Southern California for almost two years, repossessed motorcycles, reviewed pictures for a motion picture trade magazine, and did various other jobs, all the time remaining at the bakery. In 1933, Trumbo began to sell an occasional article to magazines and quit the bakery, gambling that he could make a living for himself and his family as a writer. He was published by McCall’s, Liberty, The Saturday Evening Post, The Forum, Vanity Fair, North American Review, and his first novel, Eclipse, was published in 1934. His novel, Johnny Got His Gun was published in 1939 and received the American Booksellers’ Award (now the National Book Award) as the most original book of the year. In 1947, Trumbo was subpoenaed by the House Committee on Un-American activities which was conducting an investigation into what it believed were subversive influences in the motion picture industry. Nineteen of the witnesses summoned by the committee declared themselves “unfriendly” to the committee’s inquiry. Trumbo was among the first ten of this group to testify, and, along with the others, declined to state whether or not he was a member of the Communist Party. These men became known as the Hollywood Ten, and less than a month after the hearings closed, they were blacklisted by Hollywood’s studios. An unintended consequence of the Hollywood blacklist was a black market for stories and scripts. Trumbo began working undercover and anonymously almost immediately, which he would continue to do until 1960. While there is no accurate count of the number of scripts he wrote during the blacklist, it is likely that he wrote roughly 30 original scripts and adaptations, as well as dozens of rewrites, polishes and brush-ups. The Hollywood 10 were indicted for contempt of Congress, tried and convicted. In 1950, Trumbo was sentenced to a year in prison where he served his time at the Federal Correctional Institution in Ashland, Kentucky. 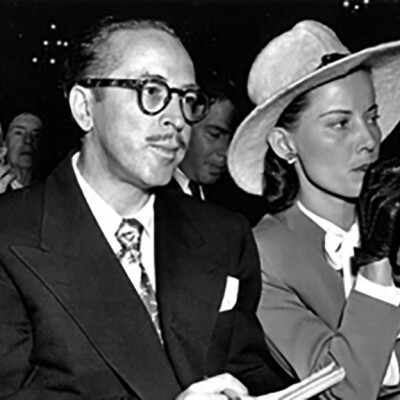 After being released in 1951, he returned to California and then moved with his wife Cleo and three children to Mexico City. They lived in there for two years, returning to the United States in 1954, where they eventually settled in the Highland Park area of Los Angeles. In 1956, THE BRAVE ONE, which Trumbo had written under the borrowed name of Robert Rich, unexpectedly won the Academy Award for the most original story at the 1957 ceremony. When the press couldn’t find Robert Rich, Trumbo seized the resulting scandal as a means toward breaking the blacklist. In January of 1960, Otto Preminger announced that Trumbo would receive screen credit for EXODUS, and, in August of the same year, Kirk Douglas revealed that Trumbo would receive screen credit for the soon to be released film SPARTACUS. He continued to write films throughout the 1960s and into the early 1970s, among them HAWAII, LONELY ARE THE BRAVE, THE FIXER, AND PAPILLON. In 1970, he wrote the screenplay for and directed JOHNNY GOT HIS GUN, which received awards at the Cannes Film Festival, among others. Trumbo died in early September, 1976 – four decades after ROMAN HOLIDAY was released, Cleo Trumbo collected the Oscar that the Motion Picture Academy Arts and Sciences concluded he should receive for his contribution to the script.